Some people steal a car for the money. Some people steal a car for revenge. 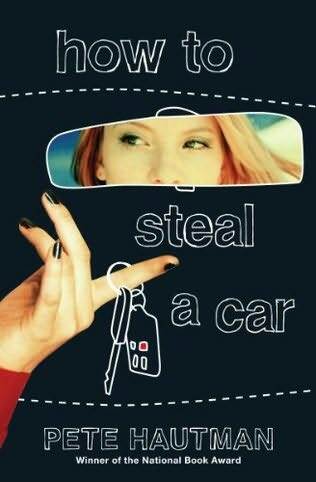 Some people steal a car just because. Kelleigh is a person in the last category. It all starts when a man drops his keys in the parking lot and Kelleigh picks them up and decides that instead of returning them, she will keep them. Then she accidentally finds out where he lives, and therefore where he keeps his car, and ends up taking it for a little joy ride. All this before she even has her license. After this incident her friends and some other folks think of her as a car thief and things get a little out of hand. All in all though, Kelleigh has fun with what she's doing, in spite of the consequences that will soon await her. "The way this whole thing got started was completely coincidental and not like I planned it or anything." "I stole the Cadillac out of necessity. It was Jen's fault." This book looks really good and cute! I'll have to check this one out sometime!